According to eziFunerals, the high cost of funerals often comes as a result of funeral directors offering bundled packages, with consumers not knowing what they were paying for. In our experience, most funeral directors don’t provide an itemised quote for the cost of a funeral. This makes it hard for you to compare prices and avoid being overcharged for things you never asked for, don’t want or need. Sadly, many of our customers tell us that some funeral directors pressure them to buy a package at an unexplained total cost rather than itemising each aspect of a funeral for buyers to see exactly what they’re purchasing. When you buy a funeral service without doing your homework you can be very vulnerable and it’s very difficult to unpack that product. 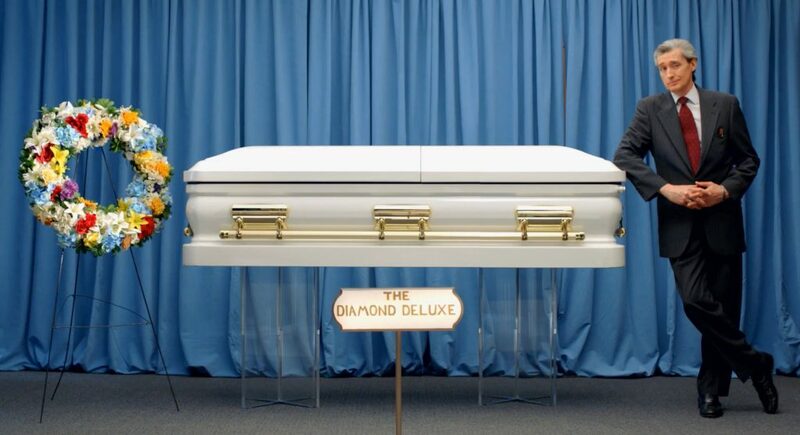 It’s very hard to get a funeral director to tell you the cost of each item in a package. Most of the large public listed funeral companies will give these classifications different names, but they usually fall under titles like ‘bronze’, ‘silver’ and ‘gold’. Often these funeral packages are advertised and sold as a way to get you to pay more. Most people don’t want to be considered cheap or overly extravagant, so funeral directors know the family will typically choose the middle option and price the package accordingly. However, InvoCare, recently changed their business model and advertise a variety of funeral packages based on brands. InvoCare is an ASX-listed funeral company that controls 40 percent of the funeral industry market with over 30 brands including White Lady, Simplicity, Guardian, Hansen & Cole and W.N. Bull. For example, a search for a funeral cremation quote near Sydney via Funeralplanner (an online website owned by InvoCare), listed 15 funeral packages with the highest starting from $10297.80 (White Lady Funerals) to the lowest starting from $7275.32 (Simplicity Funerals). WHO OWNS AND OPERATES THE FUNERAL HOME YOU ARE CONSIDERING? eziFunerals supports consumers right to buy only the specific goods and services you want. Our experience is that funeral homes that provide prices online tend to be cheaper than those that don’t. Itemised pricing allows consumers to pick the specific goods and services they want and compare costs. That’s important given the wide disparity in funeral-home prices, even in the same area. Although many funeral directors offer various “packages” of commonly selected goods and services that make up a funeral, you do not have to accept a package offered by funeral directors. Here are some useful tips on how you can avoid funeral packages and only pay for services and products you want and need. Check prices at three homes, minimum. Consumers don’t shop around when planning a funeral – they pick the funeral director closest to them, or the one their family has always used. Neither of these criteria tells you whether you’re getting good value. Don’t feel pressured to go with the first place you see or the one everyone you know used; you can compare costs by simply planning a funeral and getting itemised quotes online in less than 24 hours. Ask about both the funeral homes ‘professional services’ fee, which covers the time and overhead of the funeral director and staff, and itemised charges for the additional services you select. ARE YOU CONFUSED BY FUNERAL COSTS? If collecting multiple quotes feels too daunting, eziFunerals FREE planning and quotation service may save you time and thousands of dollars. Our online collaboration platform allows you to submit your personalised funeral plan to multiple funeral homes in your state. This way you can get accurate quotes before speaking to a funeral director and signing a contract. Our members operate Australia wide including Sydney, Melbourne, Brisbane, Perth, Adelaide and Hobart. We work together to ensure that you and your family receive transparent information and the best possible standard of service at the most realistic cost. You’re in total control and will get peace of mind knowing they are supported by Independent funeral homes that are here to help you every step of the way. MAKE YOUR FUNERAL CHOICE, THE EASY CHOICE! The coffin is usually the most expensive item in a funeral, with the average cost of a coffin or casket being between $1,000 and $4,000 however some coffins or caskets may be more than $15,000. The good news: Discount suppliers are growing in number, from independent online sellers like Scientia supplying the Chinese and Italian-made coffins and caskets to Costco, at a much cheaper price. Encouraging consumers to purchase a coffin outright for the cremation, even though a cardboard box is sufficient.